Have you ever wondered why one encounters so many Souls upon this Earth who believe that they walked the Earth as Mary Magdalene or some other prominent Light Being ? Each of these Souls is usually convinced that it was he or she that walked as that great Being Of Light in incarnation on the Earth, and that all the others who make the same claim are deluded. Their conviction usually comes from having uncovered memories from the life of that great one, as they begin to remember some of their other lives. These memories can be quite convincing except for the fact that several other people carry similar convincing memories of the same life. These memories can also have been discovered under hypnosis, which is generally thought to be foolproof. A clue lies in the fact that all of those memories are those of famous and admirable beings. Before taking a new life, a Soul can visit “The Akashic Records Library” in 4D, where all the books of life, containing a record of every experience ;- every thought, feeling and action of everyone who ever took incarnation on the Earth, are stored. These records are freely available to everyone, and a Soul just prior to incarnation, can select the book of life of any great Soul whose life experience they believe will be of help to them in their upcoming life, and be imprinted with the memories of that Soul’s life by reading their book of life. From this it can be seen why it is possible to have multiple Mary Magdalenes, or any other prominent Soul incarnate on the Earth, and it can be almost impossible to tell which Soul actually lived that life. The only way that the Soul who lived that life can be reliably confirmed is by asking one’s Higher Self to confirm it for one. One can try asking a channel, but channels vary greatly in reliability, and one needs to have very good discernment to choose a reliable one. It is safer to stick to asking one’s Higher Self, or a member of one’s Star Family, or another great Light Being for confirmation, if one is in contact with them. 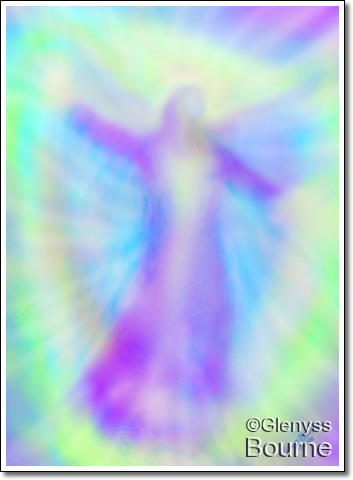 Great Light Beings have withdrawn from the cycle of reincarnation and have ascended in their Light Bodies. They are now a Light Being in their own right, independent of their Higher Self, and if they visit the Earth, it is only temporarily and for a special purpose, such as to appear to some individual with a message. In their Light Bodies they would also seem to glow or shine with Light. Such a Light Being would no longer take incarnation on the Earth. If one has the memories of some Great Light Being, such as Mary Magdalene, it does not necessarily mean that one IS Mary Magdalene; only that one has been imprinted with the memories of Her life; unless one’s Higher Self tells one otherwise. ‎ “YOUR SACRED NAME”:-is the total resonance created by all your actions, in all of your lives in materiality. It is your ID in “The Akashic Records”. At some time after you have been Christborn, you may be told it, but you must be responsible enough to use it safely. It is your “Sword Of Power”, and no one would give a sword to a child. Remember that at first after Christbirth, you are a “Child Angel”.